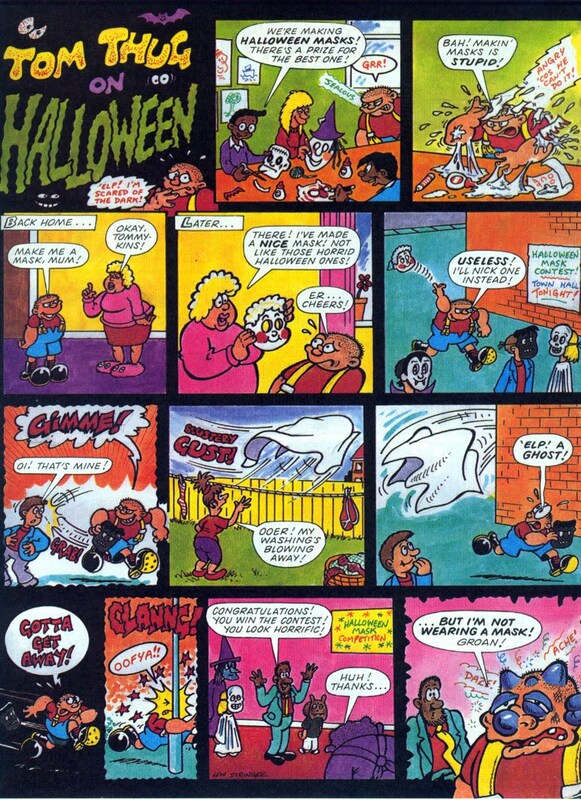 Following yesterday's post about my Halloween strips in the 1989 issue of Buster I thought I'd show the ones from the following years that I did for the comic. Above is the Tom Thug's 'alloween nite strip for the 1990 Halloween Buster featuring the Tom Thug/Vampire Brats team up I mentioned yesterday. The Brats also appeared in their own regular strip in that same issue. 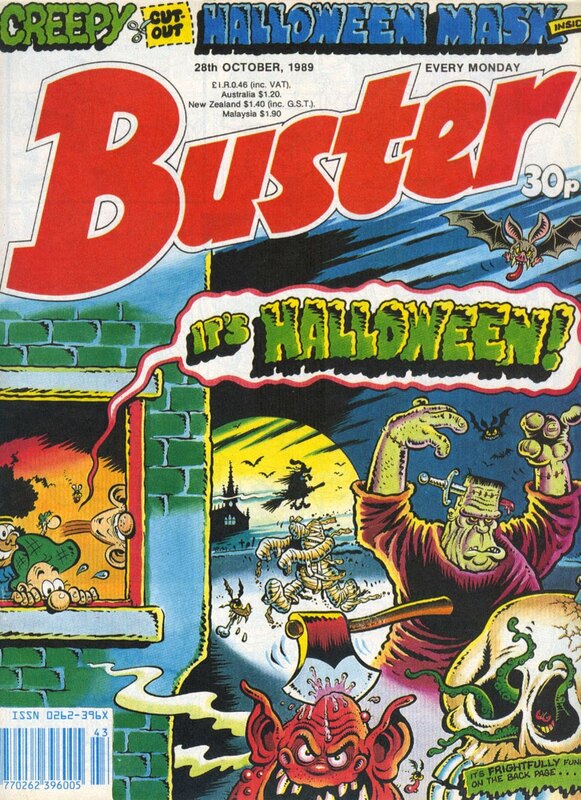 (Incidentally this was the first combined issue of Buster with Whizzer and Chips.) 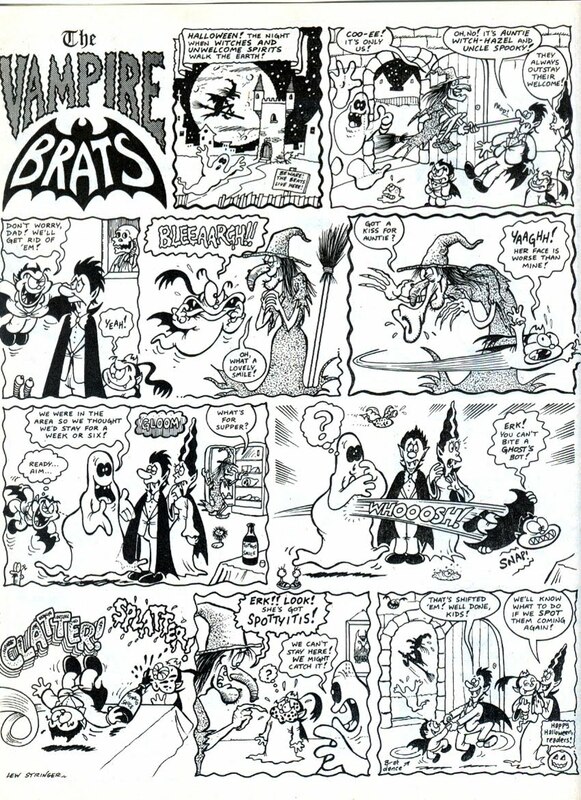 By this time The Vampire Brats was written by Roy Davis, although I added the rhyme in the title. Writers didn't get a credit in Buster but I added Roy's initials after my signature in the final panel. 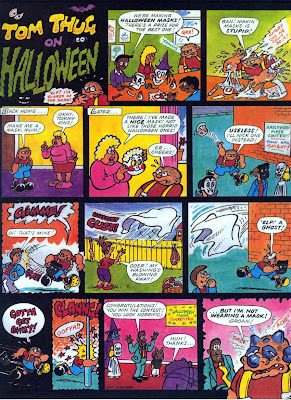 The 1993 Halloween story below is, I admit, the weakest and most traditional of those shown here. It's unusual in that it shows a rare occasion where Tom wins in the end. This was only appropriate because he hadn't actually caused any harm to anyone, so the process of Tom getting his usual comeuppance didn't apply. 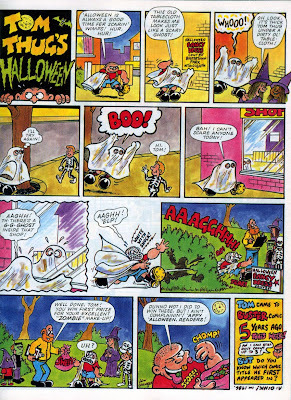 1995 saw the final Tom Thug on Halloween story (below) as Buster started using more reprints in 1996 and Tom Thug became a victim of those budget cuts. I always enjoyed doing the Halloween episodes as is enabled me to design a new spooky title logo every year. Hope you've enjoyed reading them! Halloween 1989 - Buster style! Inside, two of the strips were by me. Here's The Vampire Brats. Although I was always the artist on the strip it was originally written by Mark Rogers but when Mark fell ill he asked me to write it as well. I think this was one of my scripts. (Roy Davis became the scriptwriter for it later on in the strip's run.) I remember being pleased with the exaggerated expressions in panels 4 and 5. 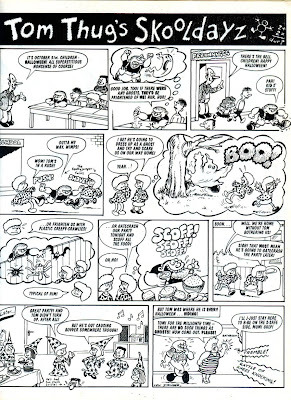 Further on in the comic was Tom Thug's Skooldayz, written and drawn by me as always and lettered by Mike Peters. I always felt the font Mike used was too large and obtrusive, but later the strip was hand lettered by Jack Potter who gave it a much more suitable look in my opinion. 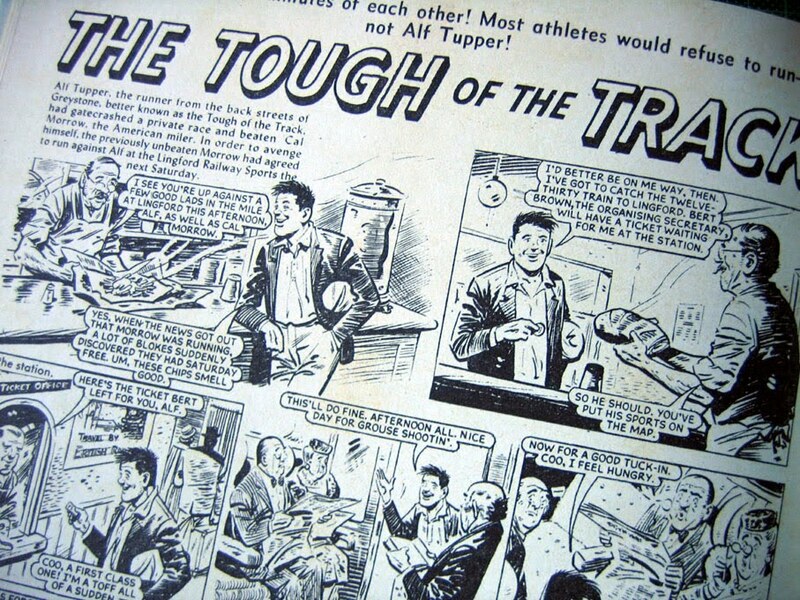 Interestingly although the Brats and Tom occupy the same "Buster universe" we treated the supernatural as fiction in the more streetwise Tom Thug stories. 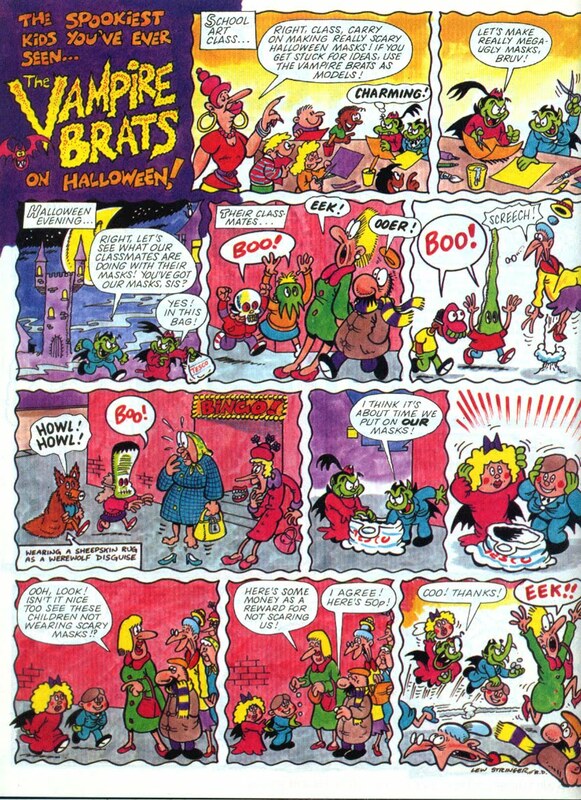 That said, there was a Halloween team-up between Tom and the Brats a year or two later. Adding a bit of toilet humour as a side gag before it was the norm in children's comics I drew Tom's Dad with his legs tightly crossed in the final panel, bursting to use the loo. 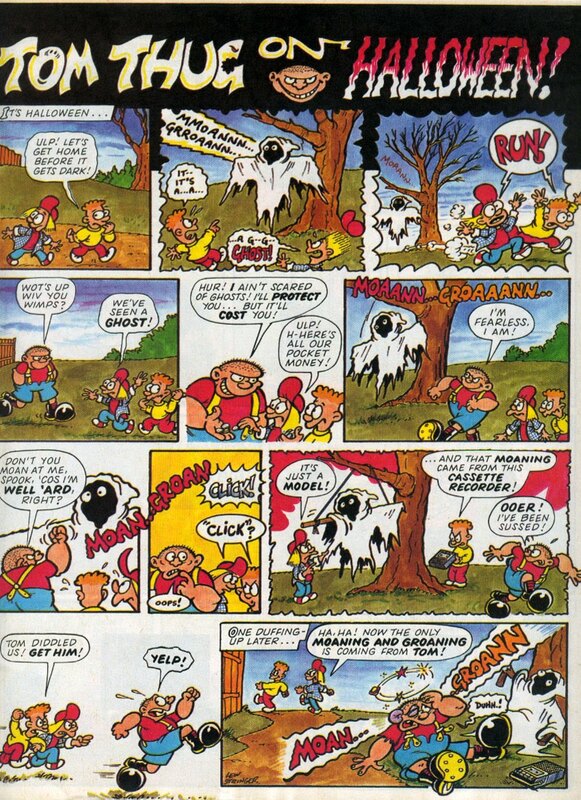 Incidentally, I think this was the one and only appearance of The Spottyjumper Twins. Perhaps I should bring them back in Toxic! Ever since one fateful day during the First World War there had been bad blood…very bad blood…between the people of the small French village and the Germans. One German family in particular — and for very good reasons. 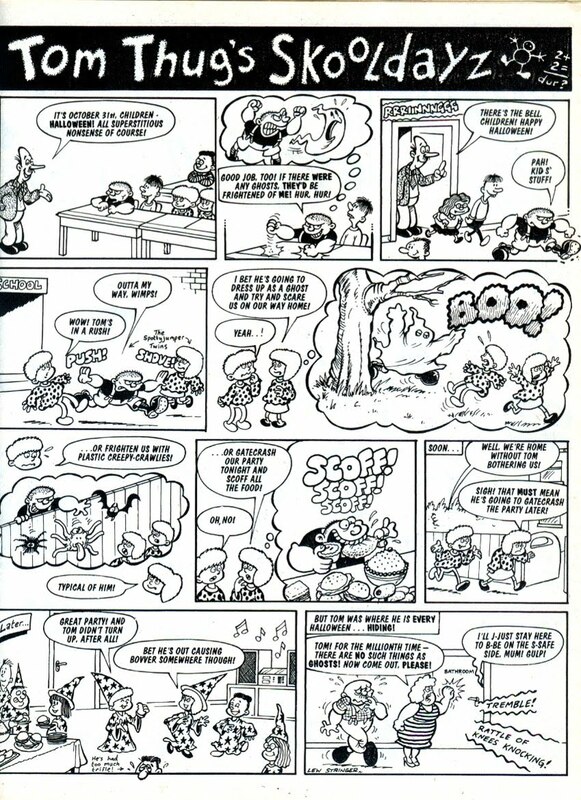 Unusually for an issue with a Gordon Livingstone cover, he did not supply the inside artwork. It wasn’t so long since U-Boat commander Elard Wolff and his crew had been welcomed in Japan as heroes. Yet here they were being force-marched at bayonet-point by Japanese soldiers. Germany and Japan were supposed to be allies, fighting on the same side — but the Japanese suspected these German sailors of spying. Obviously it was a ridiculous idea…or was it? Ed Hammond wanted to be a newspaperman just like his father. It was not to be, though, for Ed ended up in the army. Here he turned out to be a useless solider. Fearless but useless. The Baltic Sea, 1917. Royal Navy Lieutenant Henry Morgan and his submarine crew regularly battled with German Imperial vessels. Battle-hardened, they could deal with anything the enemy threw at them. The new look Dandy has been out for two days now and so far the reaction has been mostly favourable. Most comic fans on Comics UK have embraced the changes, as have most people who have left comments on Nigel Parkinson's blog and here. The new format has also made an impact. The Dandy is now printed on heavier, better quality paper and has had a redesign that is less cluttered and has its own identity. It really does look the freshest and most up-to-date comic on the stands now. 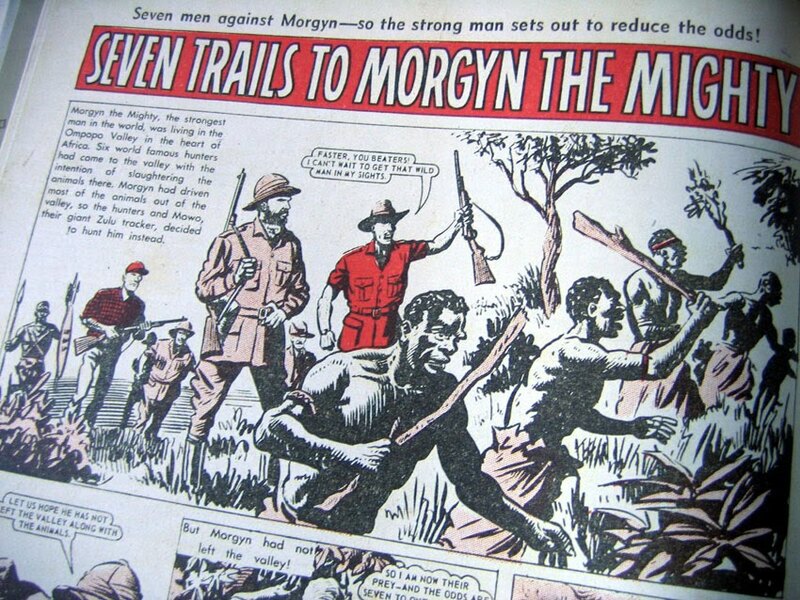 Let's hope it has the same impact as issue No.1 did back in 1937 and sets a new direction for British comics to take. Naturally it's not 100% positive and no one expected it would be, but as yet the only criticisms seem to be mainly about The Dandy not being like it was. That of course was the intention! It was losing sales so it had to change. I'm sure every 50 year old would like to see The Dandy in the style of Eric Roberts, Charlie Grigg and Ken Reid again but that's not going to happen. 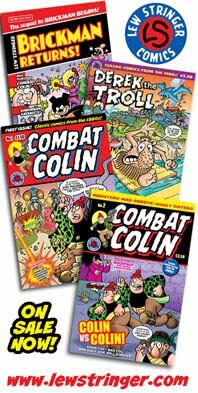 Comics have always evolved, from the styles of Tom Browne in the 1890s, to Roy Wilson in the 1930s, to Leo Baxendale in the 1960s. Now this is a Dandy for today's children, with modern styles from the likes of Jamie Smart and Wayne Thomson. 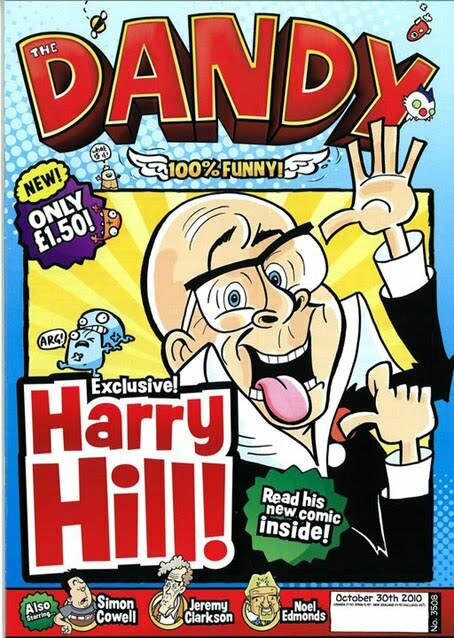 The other criticism has been about the new Dandy's use of celebrities, for which I'd point out that celebrities in comics have been around since Dan Leno's Comic Journal in 1898 and Film Fun in 1920! It's also worth mentioning that issue one of The Dandy in 1937 featured Our Gang, drawn by Dudley Watkins; a strip based on the Hal Roach films! 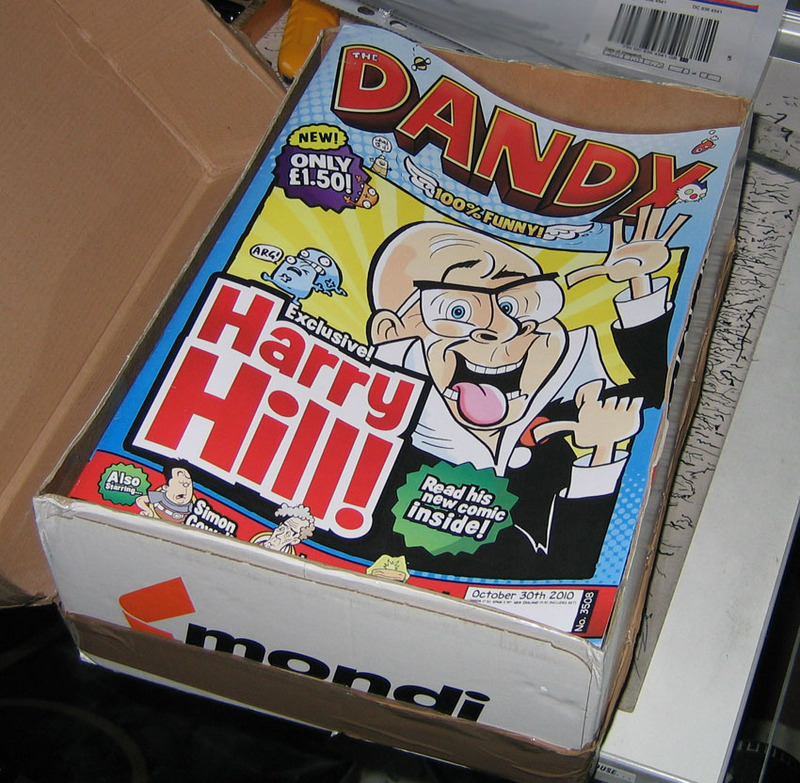 So there you go; the new Dandy, back to its roots! 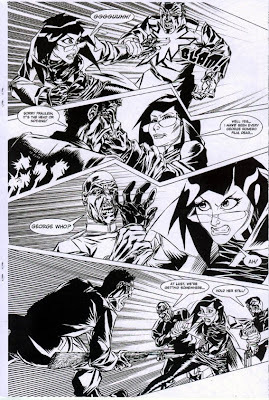 Having said that, comics artist/writer Kev F. Sutherland (now appearing in Doctor Who Adventures) has had difficulty finding a copy during his travels to teach his comic art masterclass. Some reports are also coming in of Smiths putting copies out of the reach of children for some unknown reason. These are obviously significant issues that need addressing. Publicity for the relaunch has appeared across the media. 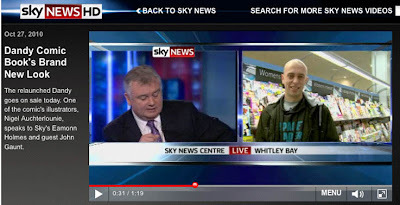 Bogies artist Nigel Auchterlounie was interviewed by Sky News and you can see that by clicking here. Nigel Parkinson, artist of the Harry Hill strip, drew specially commissioned caricatures of the Loose Women chat show team which were shown on screen as they briefly mentioned the revamp on their Wednesday lunchtime show. Sadly some of the older critics haven't done their research and seem unaware that The Dandy has been constantly changing for decades. It hasn't suddenly jumped from the artistic style of its 1970s format to the modern version. It's been a gradual evolution. 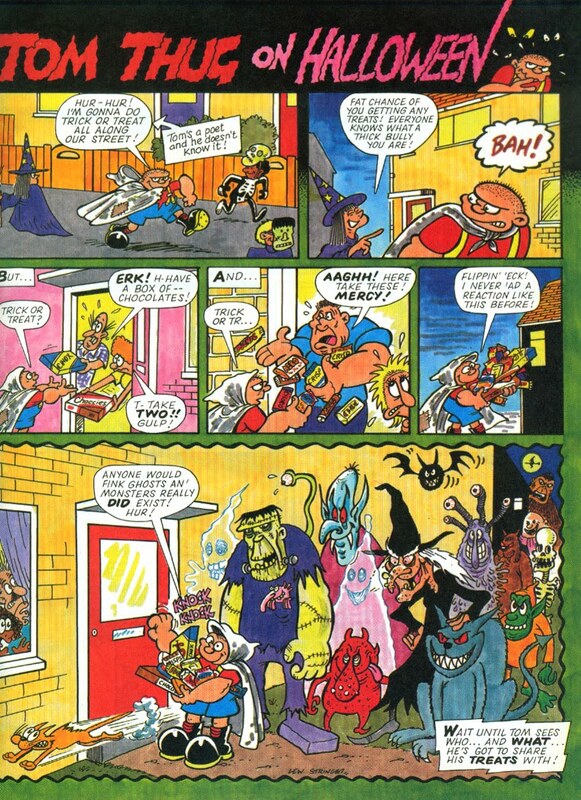 This latest incarnation is quite significant though, with no less than 18 new strips debuting in the same issue. "The writing was on the wall when they took Dan's gun off him. Not politically correct, might be seen as supporting gun culture etc etc. Ah, the things they believe. Desperate Dan's gun was almost permanently in its holster for 70 years as I recall. Although not a Dandy artist himself, Mike proved to be a great ambassador for the comic and managed to steer the interview into a positive direction. Cheers Mike! Those radio links are likely to be only available for the next few days so listen in while you have the chance! Time will tell if the new Dandy is a success. 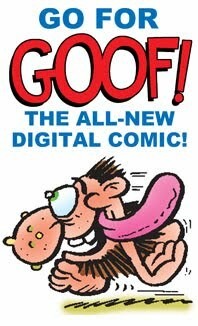 Let's hope it ushers in a new golden age of non-bagged, all-comic strip publications! Dandy Xtreme is dead. Here comes the NEW Dandy! The news is out, and so is the comic, in shops tomorrow (Wedneday October 27th). After all the rumours and speculation the all-new relaunched Dandy is here! Harry Hill, comedian, writer, and presenter of TV Burp is the new lead strip of the comic, with a regular story inside written by Harry and drawn by Nigel Parkinson. There are many other brand new strips in the comic too; fresh new characters for a new generation of Dandy readers. Amongst the comics 32 full colour pages are two new strips I'm involved with. 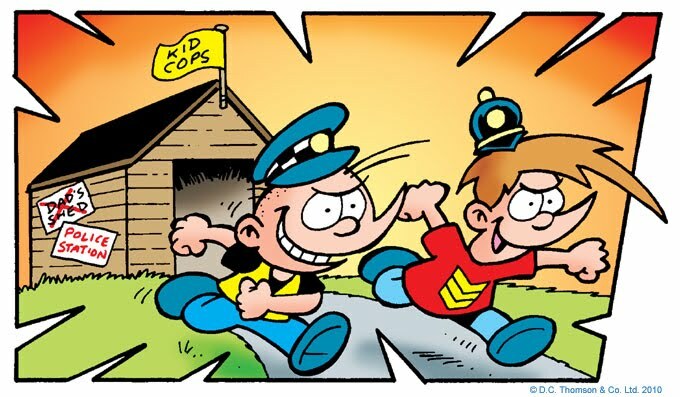 First up are the Kid Cops, created by the Dandy editorial but written and drawn by myself. Two kids, Sgt. 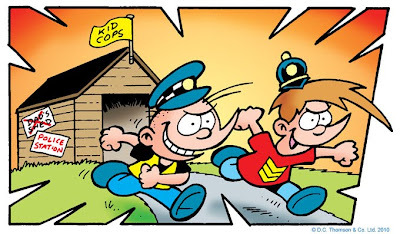 Nick and officer Bobby, protecting the world from Political Correctness Gone Mad and helping out other kids against oppressive authority figures. 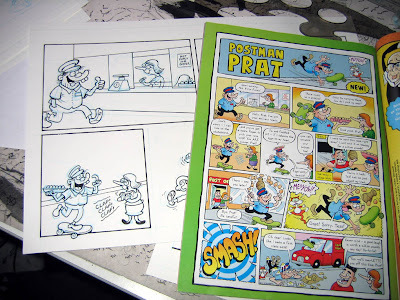 My other new strip is Postman Prat. Again, created in-house by the Dandy staff and drawn by me from scripts supplied by Dandy editor Craig Graham and Ally Bernard. 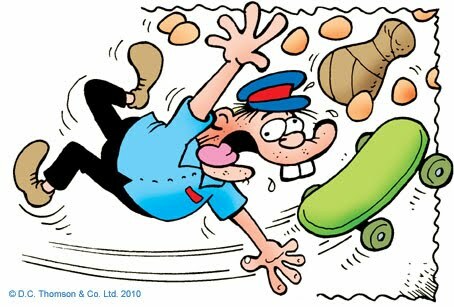 Basically he's a postman who's, er, a bit of a prat. He comes up with harebrained schemes to make delivering the mail easier but it often backfires on him. On a personal note I'm extremely pleased to be in the comic. 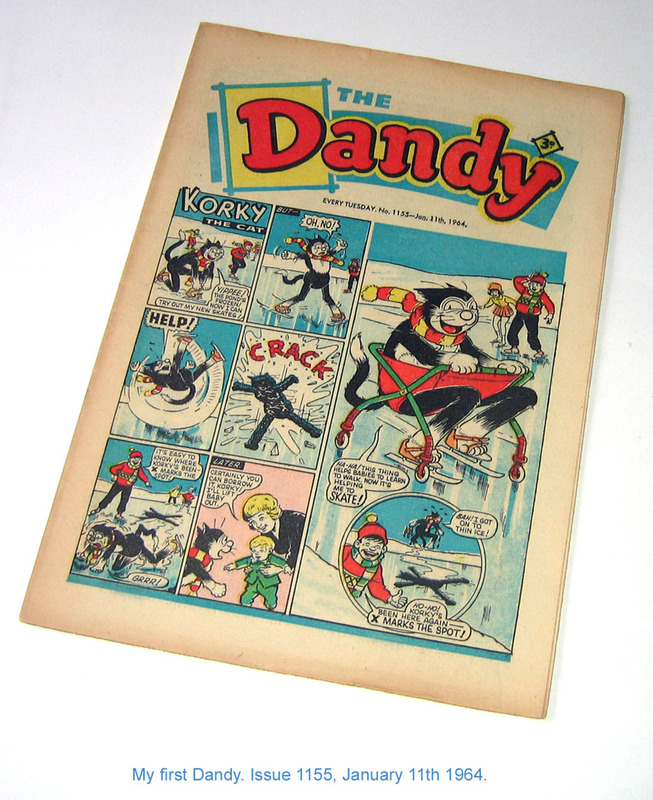 The Dandy was the first comic I ever read on a regular basis. 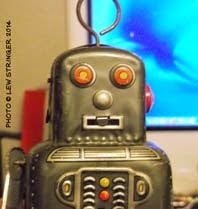 In fact it helped teach me to read and put me ahead of the other kids in class when I was four. (What happened since I don't know.) When I was trying to break into comics in the 1980s The Dandy editor of the time politely turned my work down. 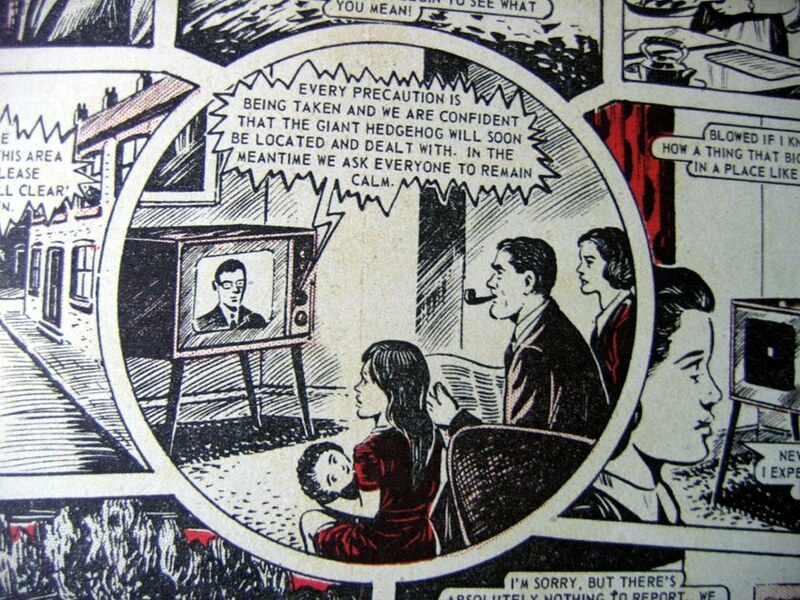 In retrospect he was right; I wasn't ready for the comic back then. I did some work for Dandy Fun-Size about ten years ago but never the weekly, until now. 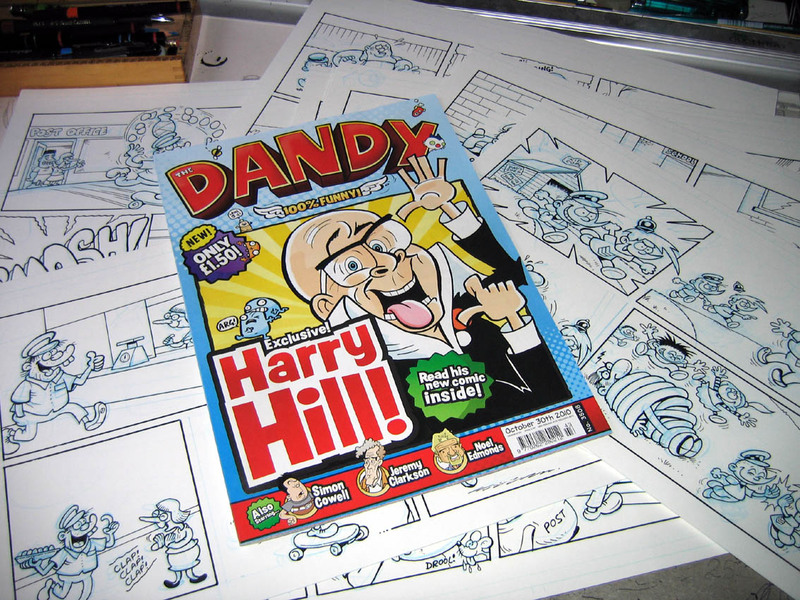 Although I'm proud of all the comics I work for, freelancing for The Dandy was one ambition that had eluded me. Now it's a lifetime ambition fulfilled, and to start in the comic in the same week as a major relaunch is even better. Enough self-indulgence. What else is in the comic? 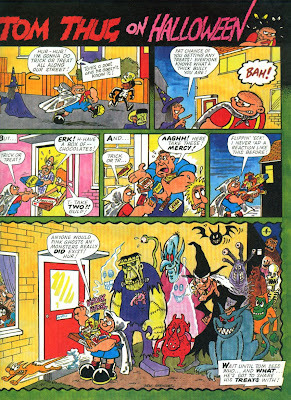 Bananaman and Korky the Cat like you've never seen them before, Desperate Dan by Jamie Smart, and a host of brand new characters and funny features. It's a whole new beginning for Britain's longest-running comic. A Dandy unlike any other previous incarnation of the title. Some traditionalists may hate it, but in truth The Dandy has always evolved and now this is a Dandy for the kids of 2010. Hopefully everyone who's said "Why can't comics just be comics instead of stuffed with magazine filler" will also enjoy it. Buy one, or two, or more if you're feeling generous! Wednesday is D-Day! The Dandy is now on Facebook. With all the anticipation surrounding the new look Dandy (out tomorrow) another comic milestone is in danger of being overshadowed. 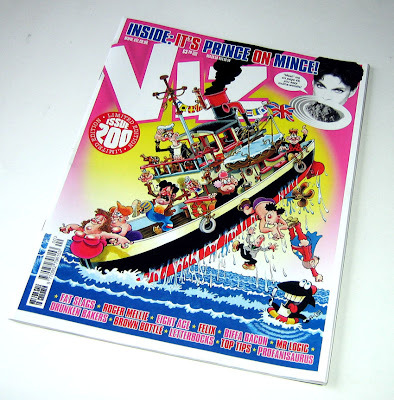 The UK's top selling top-shelf comic Viz has reached the landmark 200th issue. With a fantastic cover by Simon Thorp the latest issue features a wealth of its popular characters including promiscuous hilarity with The Fat Slags, bittersweet drunken japes with 8 Ace and sweary sniggers with Roger Mellie, The Man on the Telly. Lots of amusing articles too, including How Mice are Made and Prince on Mince. 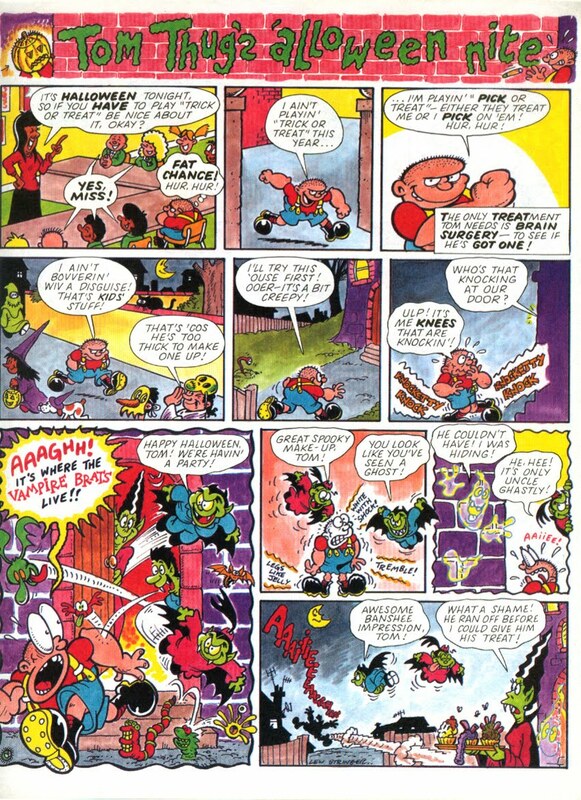 There's also a Felix and His Amazing Underpants story where he meets a comic collector. That'll probably offend someone it's not meant to. 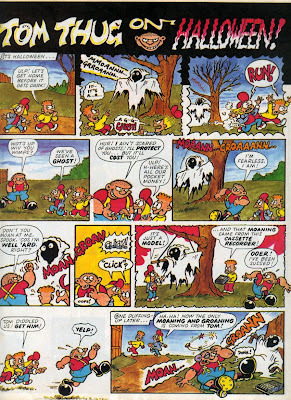 Viz No.200. On sale now, from the top shelves of WH Smith, Asda, airport shops, corner newsagents, petrol stations and suchlike. £3.20. 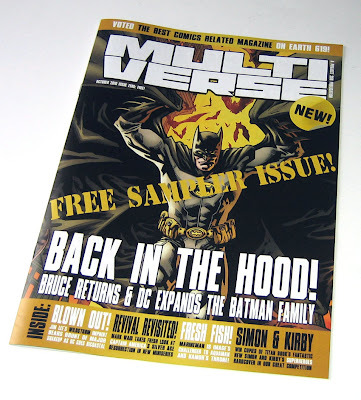 As reported earlier this month, Mike Conroy and Barry Renshaw are publishing a brand new comics news magazine entitled Multiverse. The actual magazine will have 52 pages for £2.50 but there's a 20 page sample issue out now to pick up from your local comic shop. If you don't live near a comic shop, don't despair! The sample issue is also available to download as a free 5Mb PDF here. What's it like? A nicely designed, well written mag packed with information and a worthy successor to Comics International. Its style is highly professional but it still has that good old fanzine vibe to it, and I do mean that in a good way. I got the feeling that this is what the old UK fanzines would have evolved into, had fanzines such as Comic Media News and Fantasy Advertiser continued to the present day. 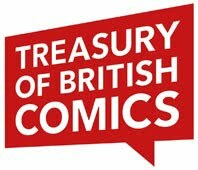 Yes, it leans heavily towards American product, but that's only to be expected because the US is producing far more material than the UK so there's more news to report, but Mike and Barry won't be shirking away from covering other comics either. Hopefully Multiverse will indeed cover as much comics news as possible. The first 52 page issue of Multiverse should be launching this weekend at the London MCM Expo. 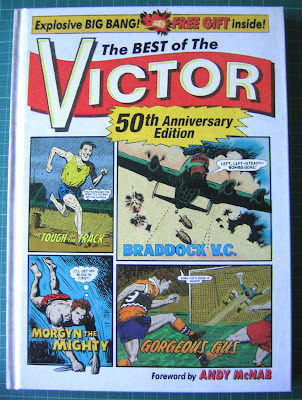 The Best of The Victor is here! 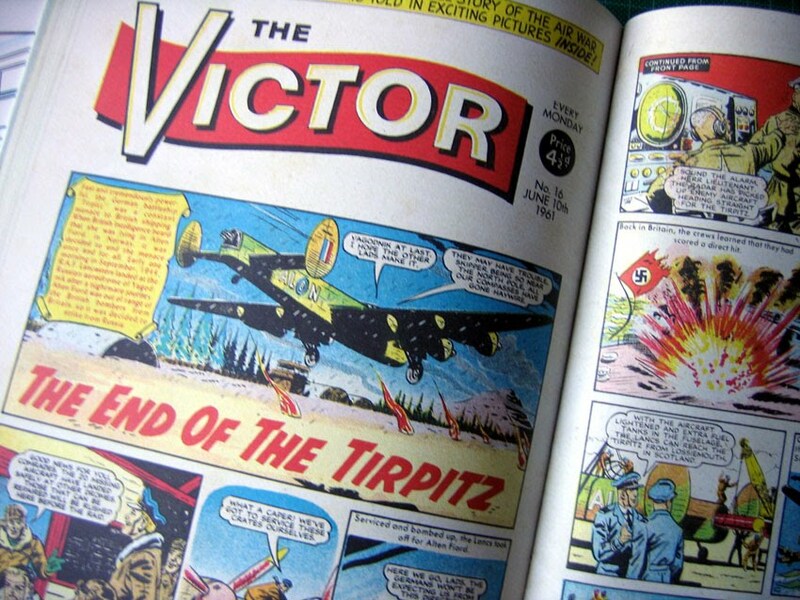 The Best of The Victor, a handsome 176 page hardback from Prion Books, is a fine tribute to the glory days of the boys adventure weekly. 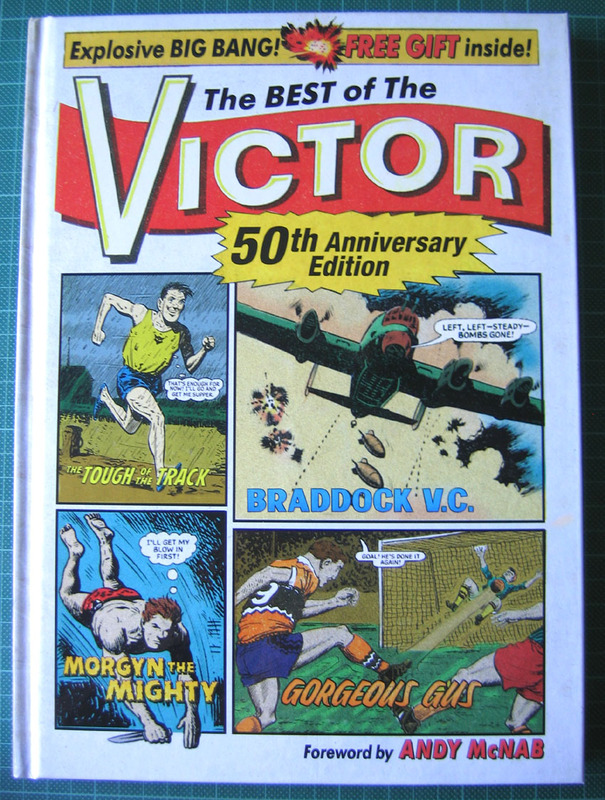 Compiled by Morris Heggie, most of the key favourite characters from the 1960s are here: Morgyn the Mighty, Matt Braddock, and of course Alf Tupper, the champion runner whose favourite food is fish and chips. Reproduction of the strips is very good, and the pages have been given an effect which makes them look like they're printed on newsprint, with bits of wood pulp visible, just like the old comics. In reality the paper is of a high quality with a really nice texture. 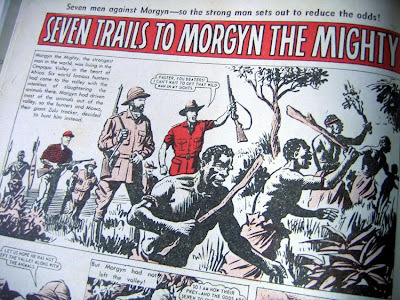 Morris Heggie has used an effective technique to try and capture the anticipation of the serials whist avoiding the pitfall of leaving the reader on a cliffhanger. By spreading the serials across the book, in a sort of rotation, it works better than the relentless method of, say, printing six Morgyn the Mighty episodes in succession. 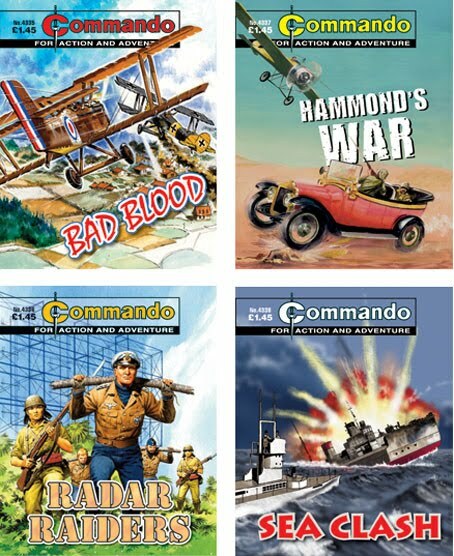 Personally I was never a fan of the D.C. Thomson adventure comics when I was a kid. They thrived on the two subjects that I loathed: war and competitive sport. 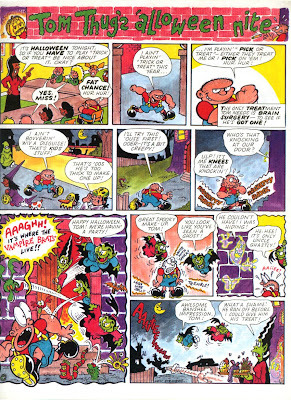 (Little of which appeared in the Odhams titles or TV21, which is why I liked those comics so much.) However in hindsight I can now see what I missed; Victor featured well crafted tales of selflessness and heroism, superbly structured with clear storytelling and gentle entertainment. As well as the key characters there are also other less-remembered stories reprinted in the book, such as an episode of the bizarre fantasy serial The March of the Prickly Giant, featuring the menace of a giant hedgehog! You couldn't make it up, except that someone did, and it was inspired lunacy played straight. There's even a free gift inside which hearkens back to those long-lost days; one of those triangular cardboard and brown paper 'bangers'! That has to be the icing on the ingredients of this nostalgic cake. My only criticism is that I'd have liked to have seen credits given to the anonymous writers and artists, and specific dates for when each story first appeared. I know the general public that this book is targeted at might not be interested in such trivia but it couldn't hurt to have included it. However, minor quibble aside, this is the perfect book for anyone who has fond memories of, or curiosity about, adventure comics of a certain era. 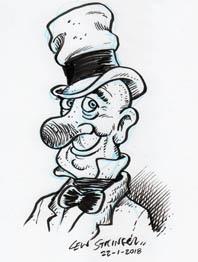 A few days ago I hinted at a new strip I'm doing for the revamped Dandy. 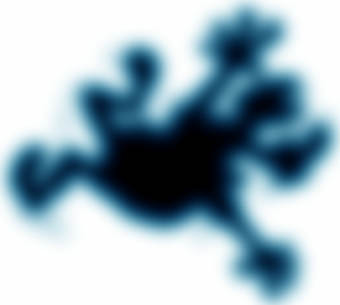 To retain some mystery I showed a blurred silhouette of the character on this blog. The character's name begins with 'P' so I labeled the image blurP.jpg which was sufficient for my own files I thought. I mean, it's not like I was sending it to anyone else, so as long as I knew what the prefix meant, no problem. Right? Yesterday Rich Johnston posted news of the new Dandy on his Bleeding Cool site. All well and good and very much appreciated, making his readers across the globe aware of the news as they're mainly fans of American comics and may otherwise not have known of it. However, either Rich or his source had copied the image from my site and had obviously perceived the jpeg name literally, announcing that I was doing "something called blurP"! 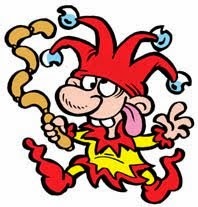 Just to put the record straight, my new strip is not called Blurp or anything remotely like it. Nor does it feature a character who is a blur, as someone else thought. 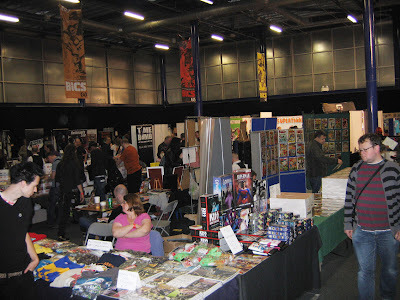 It was another highly enjoyable weekend amongst good company at the British International Comic Show in Birmingham at the weekend (Oct 15th-17th). No time for a full review I'm afraid as I have to plunge straight back into work but here's a few photographs from the event. 1: Adult humour comic Poot is back, and publisher Jim Whittaker was at the show to publicize the title. Several issues have already been published and it is available in selected newsagents, with distribution in some WH Smith branches coming soon. 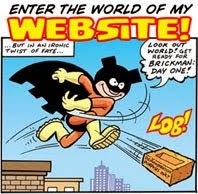 Follow http://www.pootcomic.com/ for more details. 5: Natalie Al-Tahhan chats with artist Nigel Dobbyn (http://www.nigeldobbyn.com) about his work on Sonic the Comic. Natalie grew up reading Sonic the Comic and is now an artist and designer in her own right. Visit her website at http://natalt.co.uk/. 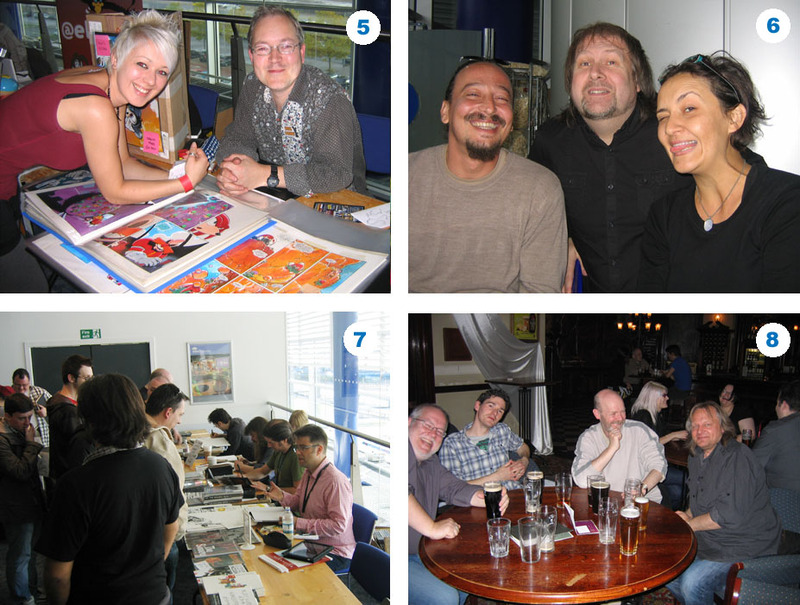 6: Beano and Dandy artist Nigel Parkinson (centre) with colourist Nika on our right and her partner Stamos on our left enjoying the delights of their first BICS event. 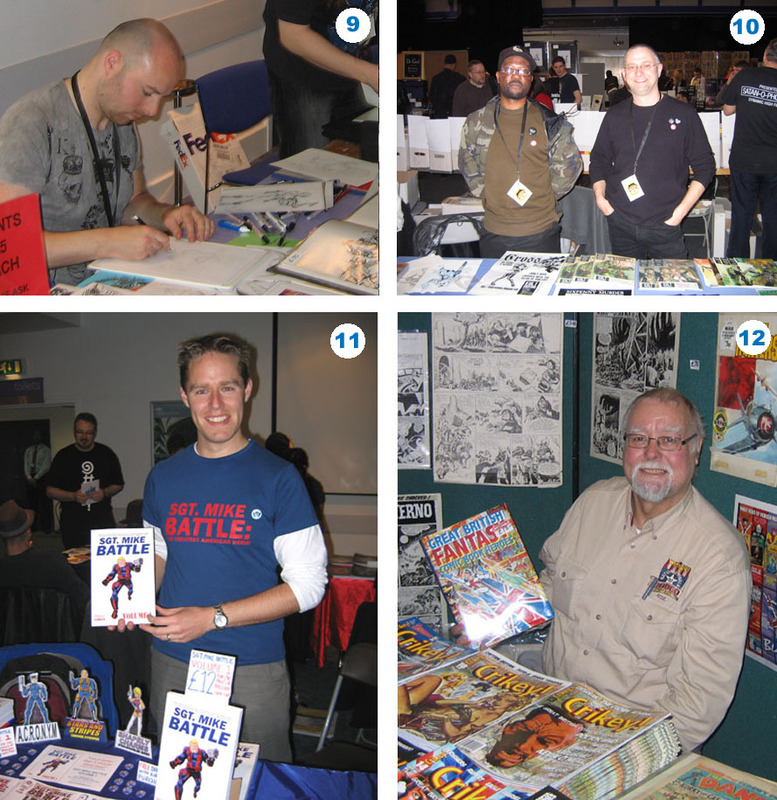 7: Sean Phillips, Charlie Adlard, and Phil Winslade busily sketching and meeting the readers on Sunday morning. 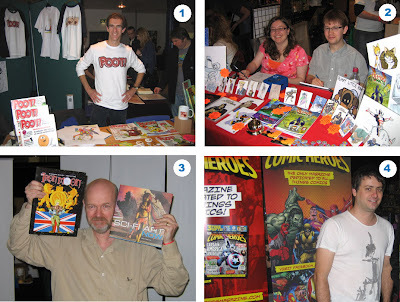 8: Saturday night with artist/writer Mike Collins, Panini editor Ed Hammond, John Freeman (editor of the forthcoming Strip Magazine) and comics journalist/writer Paul H. Birch. 12: Phil Clarke with the huge doorstopper of a book Great British Fantasy Comic Book Heroes which was compiled by Mike Higgs and published by Blasé Books. Thanks once again to James Hodgkins, Shane Chebsey and all for a great weekend. These events are highly important for those of us who work in comics to meet up with colleagues and readers, so the hard work of the organizers is always appreciated. 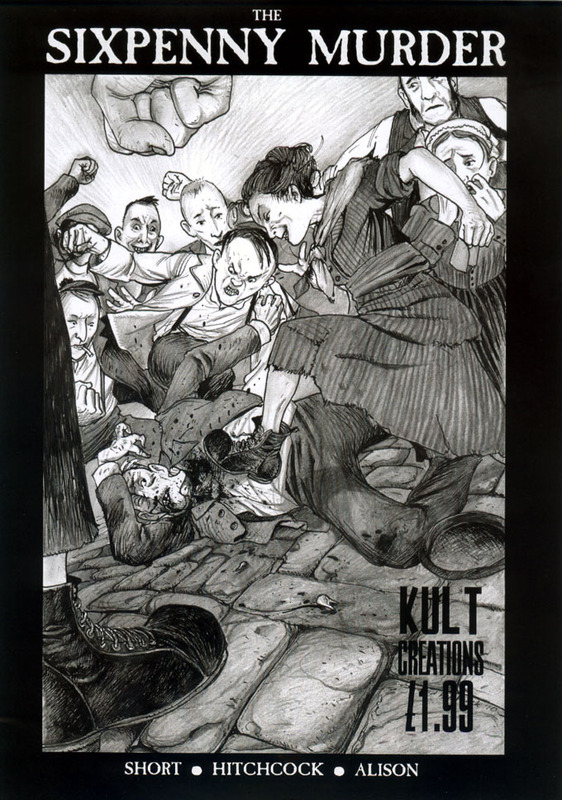 Join the Kult at BICS! 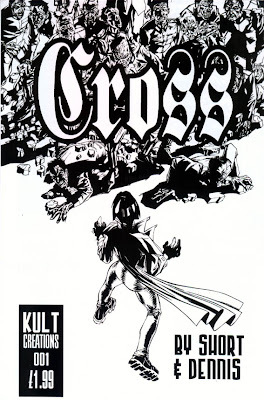 Amongst the various guests at the British International Comic Show this weekend will be a new UK publisher, Kult Creations. 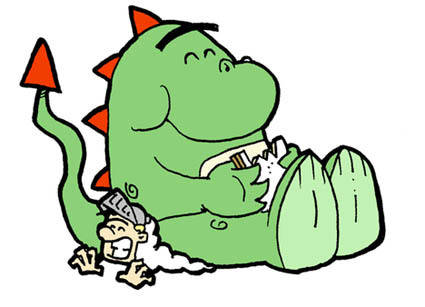 Although a small press company, it's headed by professional comics writer John A. Short, no stranger to readers of Toxic for his scripts on Rex and Robin Hoodie, and he's also contributed to Fantagraphics and Rip Off Press amongst others. Two black and white comics are the latest offerings from Kult Creations. 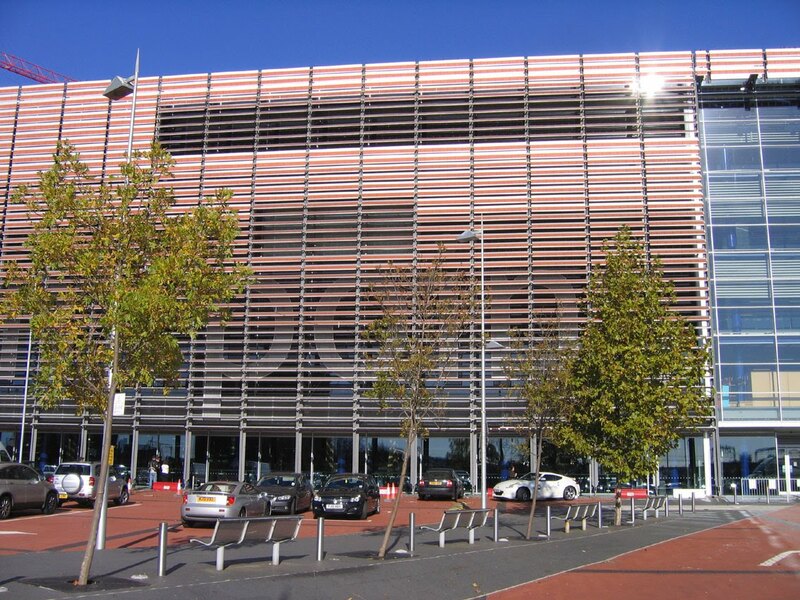 The Sixpenny Murder is based on the true accounts of a murder in Liverpool in 1875. It draws interesting comparisons to the fears of today's society. Back then, people who hung around street corners, (known as 'Cornermen') were all tarred with the same brush, just as today's 'Hoodies' are. The comic is part of the 'Changing Places +' program, directed at establishing a positive core identity for young people, aiming to prevent and reduce gang linked and weapon orientated violence. The artwork by David Hitchcock evokes the atmosphere of the period, and together with writers John Short and Emily and Laurence Alison, presents a gripping true life story. The other new comic from Kult Creations, Cross, is a much more lightweight affair, showing the diversity the company can offer. The Reverend Abigail Cross is a secret agent trained to fight a covert war against werewolves, ghouls, and other forces of darkness. Written by John Short and drawn by Jason Dennis it's a great story of fast paced comedy horror pitting Cross against Nazi Zombies. 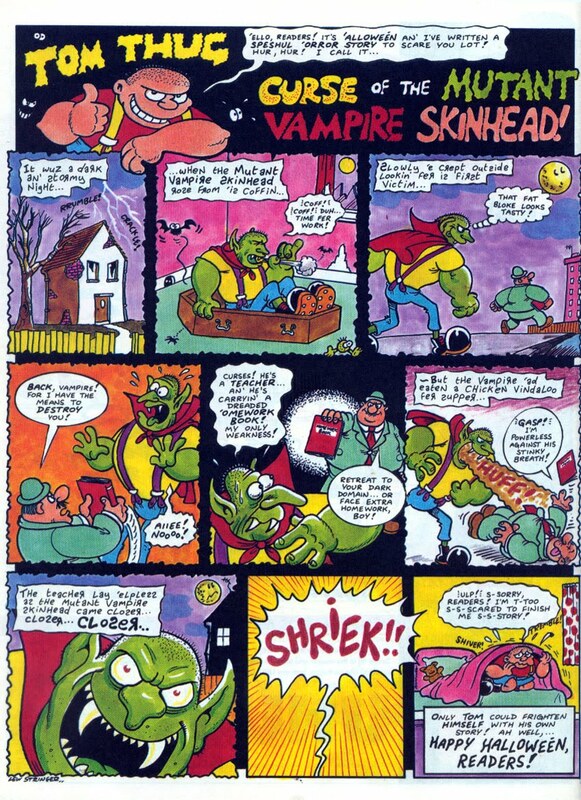 There's also a six page back up story by the same creators reprinting an earlier appearance of the red hot Reverend. Time was when the only tweets regarding The Dandy were the imaginary birds flying around the bumps on the heads of characters who had been clobbered, but today The Dandy has entered the 21st Century and is now on Twitter. And just look at that shiny new logo. Woooo! A Jamie Smart design if I'm not mistaken. The excitement is mounting and today Nigel Parkinson's blog has more details about the brand new revamped Dandy that goes on sale in two weeks time! All is still not revealed, such as the identities of most of the characters in the new-look comic (or who's drawing them come to that), - but that would spoil the surprise wouldn't it? I can tell you that I'm drawing a new character for it. That's him in the blurred image above, trying to break through the time barrier from the far future of two weeks hence to reach you today. But time travel has nothing to do with the strip so he can't break through....yet! Wednesday October 27th, the new-look Dandy, back to weekly schedule and down in price to £1.50. You lucky people! The Dandy: the clues are out there... or are they? There will be more info about The Dandy released soon. You'll hear about it, don't worry. Perhaps the equivalent of Avon ladies will knock at your door to sell you a copy? Perhaps a reconditioned ice cream van will be chiming its way around your area, stuffed with Dandies? (No, not Russell Brand or Jon Pertwee's Doctor Who.) Or perhaps it'll just be some people on the telly telling Daybreak all about it? Who knows? Not me. Here's an advance look at the cover to issue 175 of Classics from the Comics, on sale next week. Sadly this is the final issue of D.C. Thomson's long running reprint monthly and no similar title is currently planned to substitute it. I understand that this issue actually advertises issue 176 for next month, so presumably the cancellation was a last minute decision made after issue 175 had shipped to the printers. 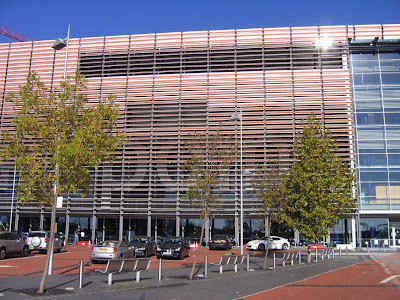 News of the comic ending was announced here last month following an e-mail announcement from the editor Garry Fraser. 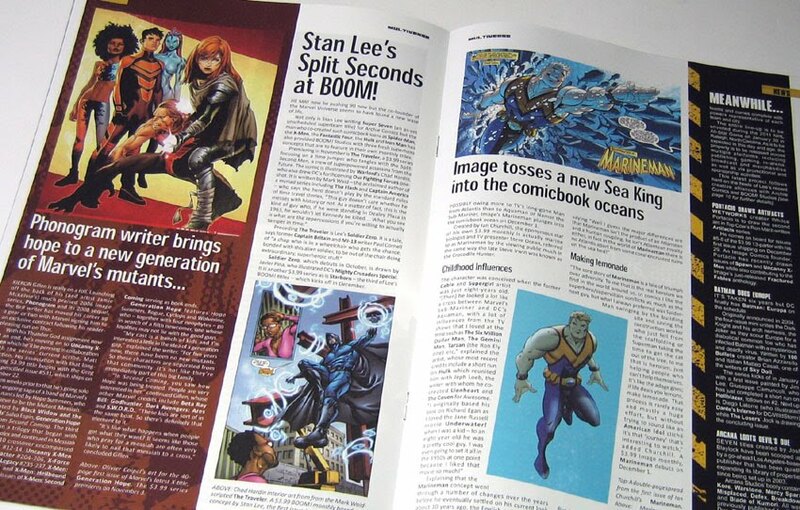 My thanks to Garry for sending me the cover previews over the past few months and for producing a fine comic. I'm sure you'll all join me in wishing him well for the future. 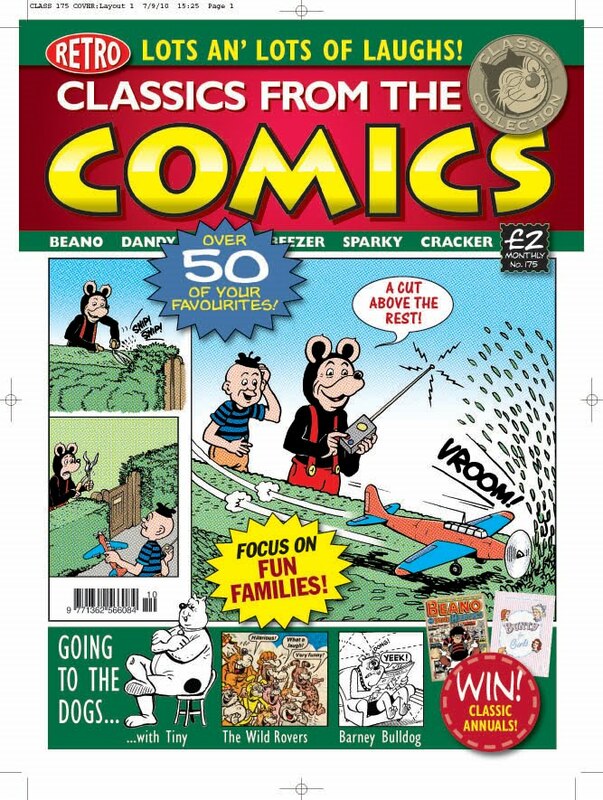 Classics from the Comics No.175 will be on sale on October 13th, priced £2. 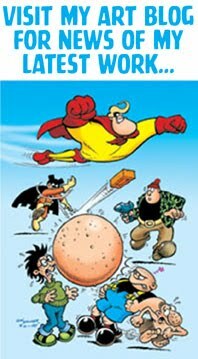 Remember when every new British comic was advertised on tv? Short, ten second commercials promoting a free gift and a glimpse at the strips? Sadly, as profits of comics continued to decline in the 1980s expensive TV advertising was considered too prohibitive and such ads ceased. 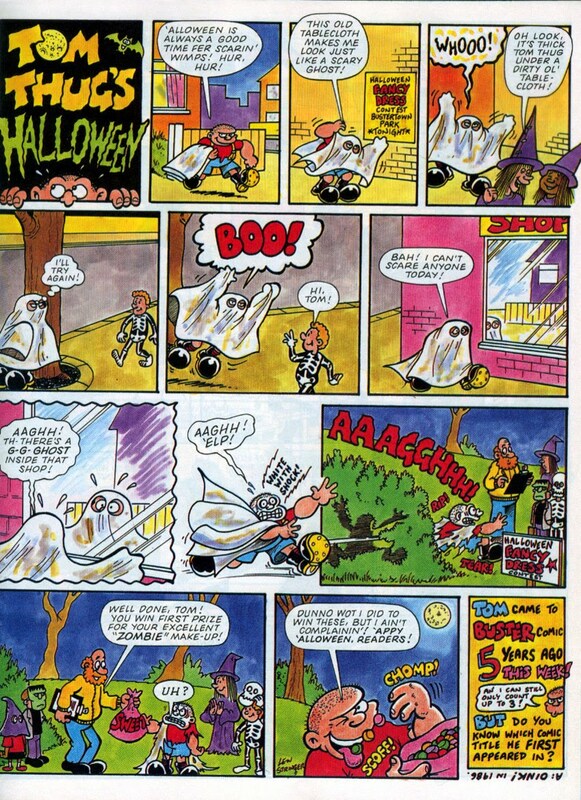 From his roots in British underground comics of the 1970s Bryan Talbot has always retained his independence. Although he has worked for publishers such as IPC and DC Comics Bryan has mainly steered his own direction in the industry, creating such notable works as The Adventures of Luther Awkwright and The Tale of One Bad Rat, to the more recent Alice in Sunderland. ...find out on Wednesday October 27th 2010. The Dandy. Down in price to £1.50. More news soon!